I’ve always wanted to dine al fresco style in Santorini while overlooking the beautiful blue sea of Greece. But since it might take a few more years before that happens, pigging out in Café Mediterranean can suffice (for now) my longing to do that. It was our first time to dine in Café Mediterranean but since we’re really big fans of – you’ve guess it right – Mediterranean cuisine, the ordering process took less than 5 minutes! Here’s what we ordered and below each is a caption on what we think about each dish. 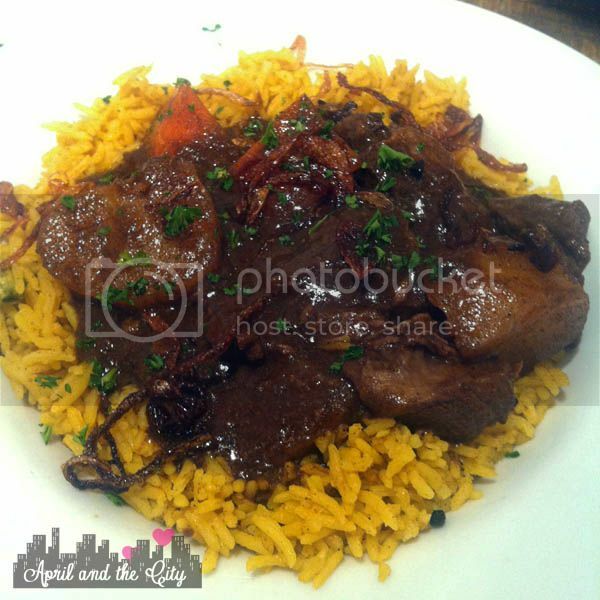 What I got is this Lamb Stew with Morrocan Rice Pilaf. For the price of Php330.00, I wouldn’t really say that it’s affordable, however, it’s reasonable for the price just because you get hefty chunks of tender and juicy lamb as well as potatoes and carrot wedges to cut off the spiciness of the dish. The girlfriend got this Grilled Chicken Mediterranean-style. 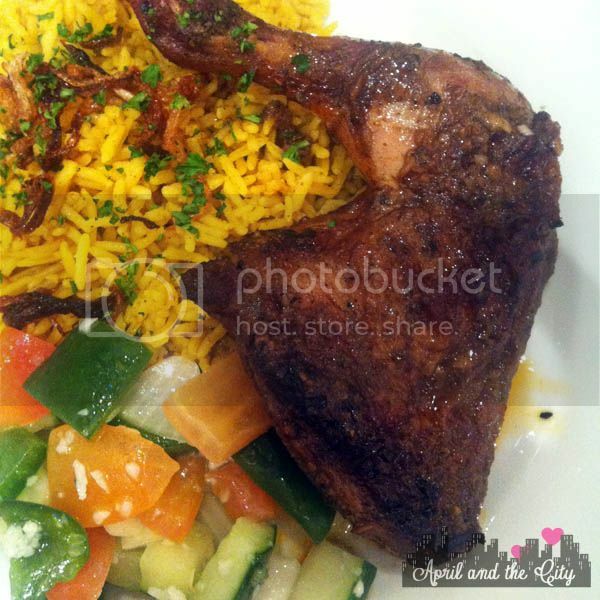 With the Moroccan Rice Pilaf, this bad boy is priced at Php245.00. It’s a perfect balance of saltiness and spiciness and the side dish of vegetables makes the dish even more yummier! Because I was curious how Ratatouille tastes like (and yes, I am a big fan of the movie “Ratatouille”), I was able to convince the girlfriend to order 1 for us. I forgot how much this costs but it’s reasonable for its taste and serving size. 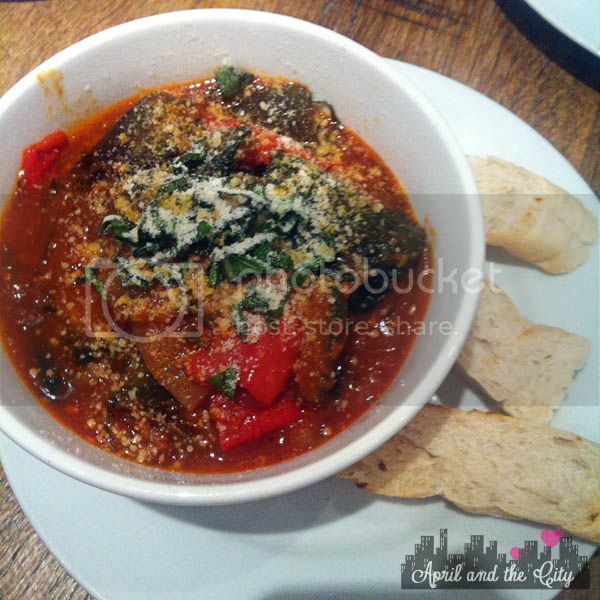 Overall, our first visit in Cafe Mediterranean in ATC will definitely not be the last. Their staff are very attentive, very patient in explaining to us what the best dishes we should try, and the overall customer service that we got is a 10/10.